Eddie Graham broke into fame when he became the storyline brother of wrestler Dr. Jerry Graham. From there, Eddie saved his money until he was able to buy into Championship Wrestling from Florida, one of the National Wrestling Alliance’s premier territories. Eddie became known as a shrewd businessman and clever booker, with a much-admired mind for the business. However, personal demons took down what could have been an even greater career. After a sudden business misfortune, Graham took his own life on January 21, 1985 at the age of 55. Eddie Graham alongside Jack Brisco. Edward Gossett was born on January 15, 1930 in Dayton, Tennessee. Gossett was born blind in one eye, but that would hardly slow down his career. Eddie came from a troubled home and sold newspapers while living in Chattanooga. The newspaper provided YMCA gym memberships to newsboys, allowing Gossett to get the physical training which led to his career as a professional wrestler. Later in life, Gossett would remember the benefits of the YMCA and help set up something similar for disadvantaged youth. 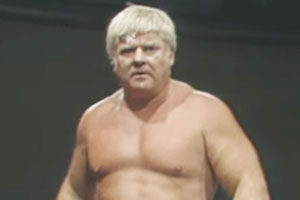 Gossett wrestled as Rip Rogers, the storyline brother of Buddy Rogers. But it wasn’t “Rip Rogers” who would get himself over the most. 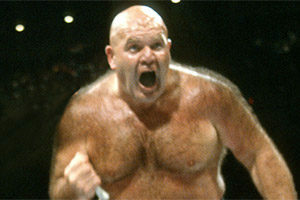 Gossett’s career took off when he began working as “Eddie Graham”, the kayfabe baby brother of Dr. Jerry Graham and “Crazy” Luke Graham (later “Superstar” Billy Graham would be added to the fictional band of brothers). Eddie and Jerry teamed up, winning the United States Tag Team Championship in Vince McMahon Sr.’s Capitol Wrestling – the precursor to the WWWF. With Capitol Wrestling, Eddie learned the importance of showmanship and working big venues. These lessons would help him when he became a promoter himself. In 1968, Graham was seriously injured when a metal window fell on his head at the Fort Hesterly Armory. Graham’s retinas were detached from his eyes and he required 300 stitches to his head and face. Graham received $23,399 from Florida for the injury, but it may have contributed to depression he suffered later in life. Eddie Graham became a recognized figure in and out of the ring. 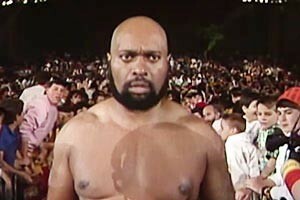 He was a popular star wherever he worked, eventually forming a tag team with his son Mike. 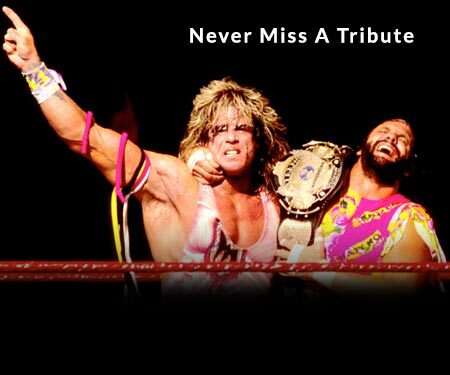 The team were involved in one of wrestling’s most famous face turns when Mike and Eddie faced off against Dusty Rhodes and Pak Song. Dusty’s face turn would lead to enormous business for Championship Wrestling from Florida and launch Dusty’s rise to the top. 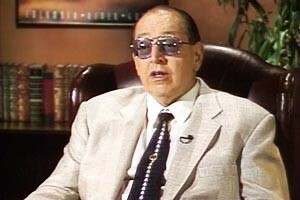 Outside the ring, Eddie’s talents as a booker were highly regarded and he formed a close friendship with promoter Vince McMahon Sr., exchanging talent between CWF and the WWWF. This led to the first-ever NWA World Champion vs. WWWF Champion bout with NWA champ Harley Race meeting WWWF champ “Superstar” Billy Graham in a unification bout. In 1976, Eddie was elected president of the NWA, serving for nearly two years until health issues led to him vacating the presidency. Eddie Graham was a civic-minded individual, with contributions made to a number of charitable causes, chief of them the Florida Boys and Girls Ranch Villa. In 1957, Graham, C.P. “Cowboy” Luttrall, and Hillsborough Sheriff Ed Blackburn began efforts to establish the organization. 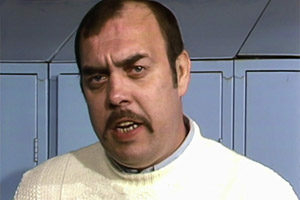 Graham donated funds from every Championship Wrestling from Florida show to the Villa, bringing in a reported $100,000. Graham also donated to amateur wrestling events at the high school and college levels. On January 21, 1985, Eddie Graham ended his life with a self-inflicted gunshot wound. In a bizarre twist akin to only the Von Erich tragedies, Eddie’s son Mike and grandson Stephen would end their lives the same way. While the reasons for Eddie Graham’s suicide remain unknown, it is believed Eddie’s participation in a land deal gone wrong led to him needing to raise $500,000 immediately. His alcohol abuse and depression may have contributed to his suicide as well. Several other notable wrestlers have committed suicide including Chris Benoit, Chris Kanyon, Ludvig Borga, Mike Awesome, Sean O’Haire, and three of the Von Erich brothers: Mike Von Erich, Chris Von Erich, and Kerry Von Erich. Eddie Graham was cremated. He shares a memorial with his wife Lucielle at Garden of Memories in Tampa, Florida. Eddie Graham shares a memorial with his wife Lucielle at Garden of Memories in Tampa, Florida. What are your favorite memories of Eddie Graham? Be sure to leave them in the comments section below.